Shigeyama Sengoro XIV (left). Photo: Halca Uesugi. One of the most prestigious kyogen families in Japan. Located in Japan’s ancient capital of Kyoto, they have toured throughout Japan as well as internationally. In 2016, Masakuni Shigeyama who will play the Blind Beggar in The Cat and the Moon, succeeded his late grandfather, a designated National Treasure, and his father, by adopting the formal stage name of Sengoro XIV. A performance in Ireland is a fitting tribute to the succession of this family’s cultural heritage as well as a show of deep respect for W. B. Yeats’ theatrical genius. 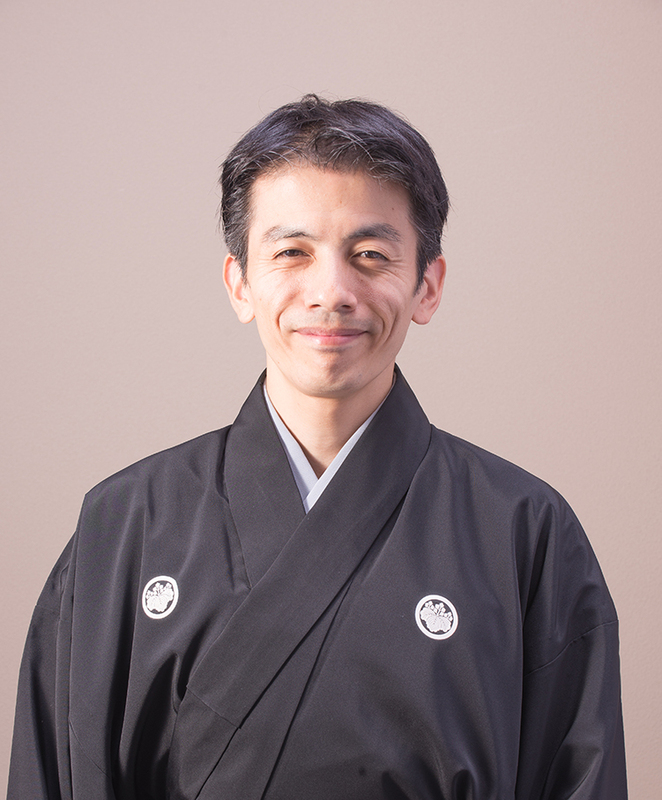 Born in Kyoto in 1972 as a first son of Sengoro XIII, present Sensaku V. First appeared on the kyogen stage at the age of four as a protagonist in a play entitled, I RO HA. 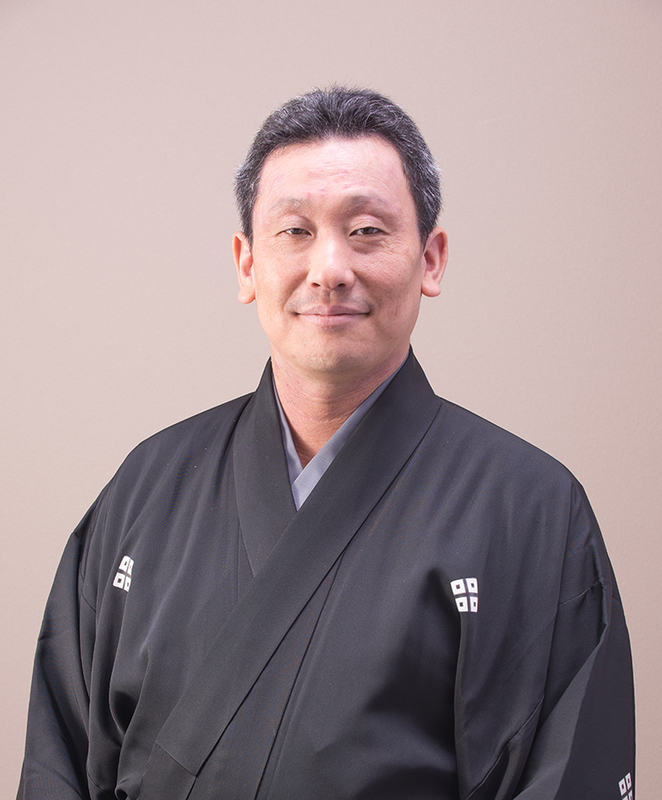 He has been a leader of many different projects that promote kyogen among new audiences. Sometimes he collaborates with performers of different genres. He was decorated with an award by the Government of Kyoto, Osaka and Japanese Government [Agency of Cultural Affairs]. He performed internationally, such as joining Festival D’Avignon. 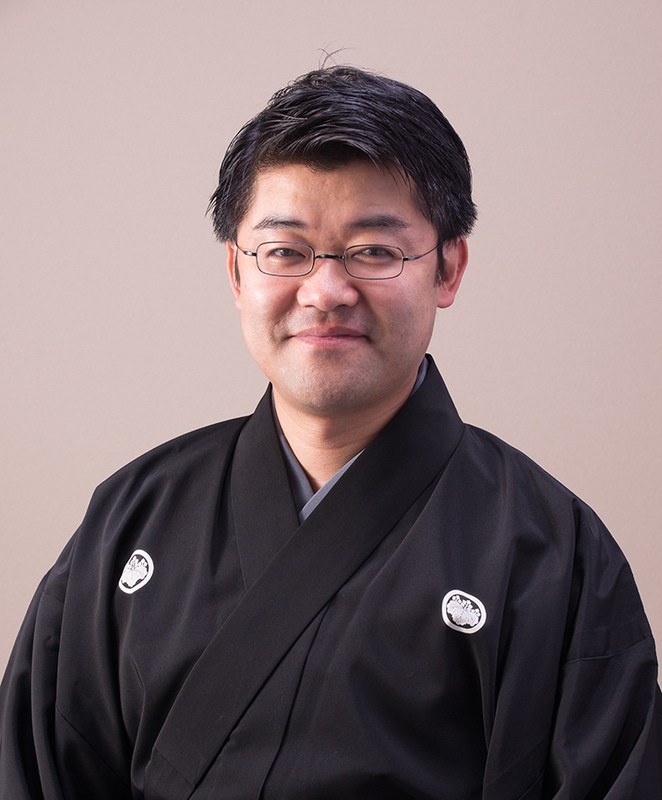 He succeeded Sengoro XIV in 2016. As a chief of this prestigious family, his theatrical craft has greatly matured. He will play the Blind Beggar in The Cat and the Moon. He has written and directs Chin Chin Kobakama, one of Hearn’s original folk tales. 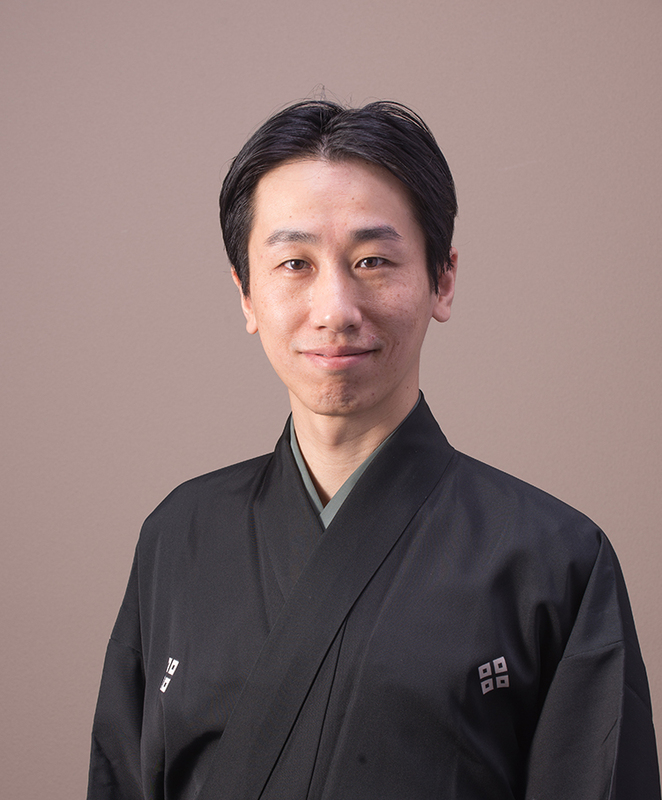 Born in Kyoto in 1975 as a second son of Sengoro XIII, present Sensaku V. At the age of four, he debuted on stage in a kyogen komai dance production. He along with his cousins have made great contributions to spreading kyogen to younger generations. He performed internationally in a series of performances throughout Eastern Europe. He was decorated by an award given by the Government of Kyoto, for his female roles which are very highly appreciated. He will play the role of Lame Beggar in The Cat and the Moon. Born in 1951, Kaoru Masumoto studied with Sengoro XII. Matsumoto debuted on stage at 23 years of age, as ado, secondary actor in the play Uri nusubito (The Melons Thief). In 1984, he founded the Kyogen Research Group, with Masami Amitani and Yasushi Maruishi, all of whom received awards from the Government of Kyoto. From 1999 to 2003, he produced the collaborative work Monnaie de Singes at the Municipal Theatre of Paris, with the support of the French Ministry of Culture, with performances in Spain, Portugal, France and Canada. He directs The Cat and the Moon as well as performing the role of the Saint. Born in 1976 into the kyogen actor’s family of Hayao Tagaya and studied kyogen with the Shigeyama Sengoro Family. He was immersed into kyogen from an early age. His first kyogen stage was at the age of eight. 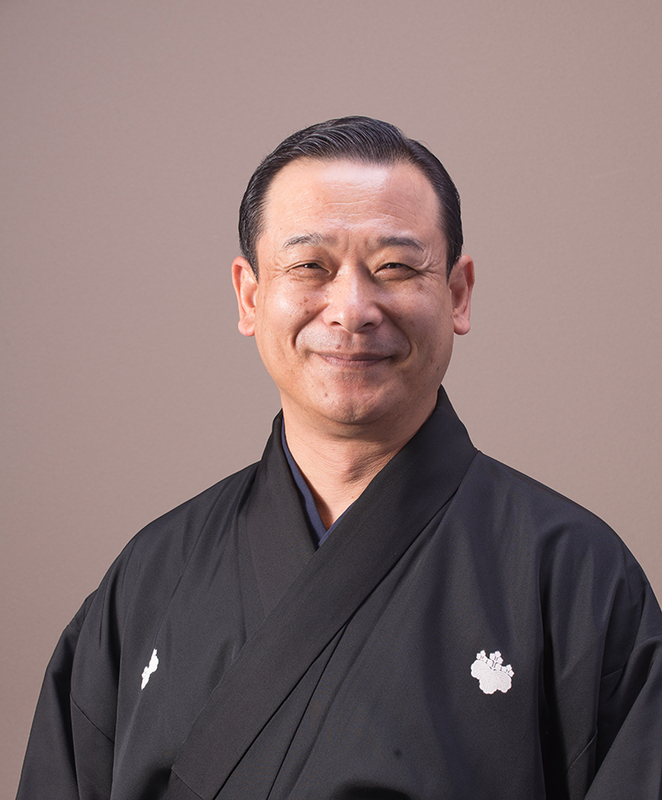 After graduating from university as an engineering major, he decided to become a professional kyogen actor and became a student of Sengoro XIII, the present Sensaku V. He has done kyogen tours of Ireland previously. He plays a role in the world premier of Lafcadio Hearn’s Chin Chin Kobakama. Born in 1976. An encounter with Sengoro XIV led him to become a student of Sengoro XIII, the present Sensaku V. He once gave up working in Kyoto, spending six years in his home town in the far south of Japan in Kagoshima trying to promote kyogen there. He decided to become a professional kyogen player again and under Sensaku V his training as a professional has continued. He plays a role in the world premier of Lafcadio Hearn’s Chin Chin Kobakama. © 2017 Project Team for the 60th anniversary of the establishment of diplomatic relations between Ireland and Japan: Shigeyama Sengoro Kyogen in Ireland.